After Friday’s wash-out in Jupiter and yesterday’s cancellation of the game in Viera, the Nats shuffled the starters to go with Stephen Strasburg today for a 1:05 start in Jupiter vs. the Cardinals, and the Nats move Scherzer to tomorrow vs. the Mets for the last Grapefruit League game this season before the team heads back to Washington to play 2 games versus the Minnesota Twins. Now if you look at the weather forecast today in Jupiter, there is a better than a 50% chance of thunderstorms rolling in during the 2pm hour: Weather Forecast for Jupiter Florida. Of course you could click on this link in 3 hours and it might give you a very different forecast as Florida weather forecasts are difficult to predict with those pop-up storms. As of right now, it looks like Strasburg might get in 3 innings of work and hopefully more if Mother Nature cooperates and she really doesn’t care about baseball as we know. With moving Scherzer to Wednesday (weather permitting), that puts Max on a 5 day cycle with no extra rest to start Opening Day in Atlanta on Monday. Strasburg is supposed to start April 7th (DC home opener) which gives Strasburg an extra 4 days rest which begs the question, is there going to be a reshuffling of the deck for who starts the regular season, and games #2 and #3? Why wouldn’t you leave Scherzer pitching today and throw Strasburg tomorrow? 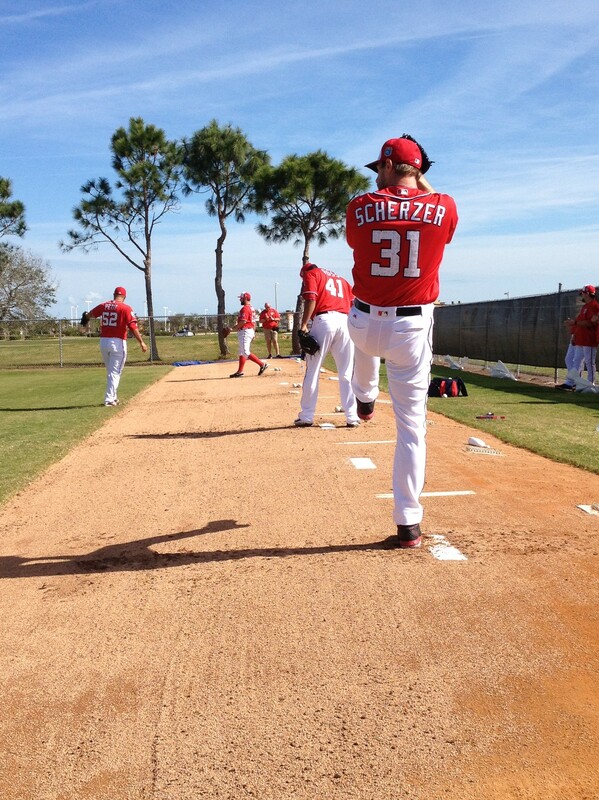 That scheduling would give Scherzer 1 extra rest day and Strasburg 3 extra rest days. If Gio starts Friday, that would put him on regular rest to make his scheduled start for Game 2 in Atlanta a week from Wednesday. If you are confused, it is understandable. Mother Nature has thrown a wrench into Mike Maddux‘s plan, and Dusty Baker must get creative here on the schedule. Dusty Baker and Mike Rizzo have a roster of 30 players remaining to pick from for the Opening Day roster which could include either an extra bullpen arm or an extra bench player since the Nats don’t project to need a 5th starter until April 13th. Trevor Gott, Sean Burnett and Blake Treinen are all still in the mix for the remaining bullpen spot(s) as well as Brendan Ryan, Reed Johnson, Matt den Dekker and Chris Heisey for the last bench spot(s). The Cardinals plan to pitch Adam Wainwright for this game. The game will be televised and on radio via the MLB App. 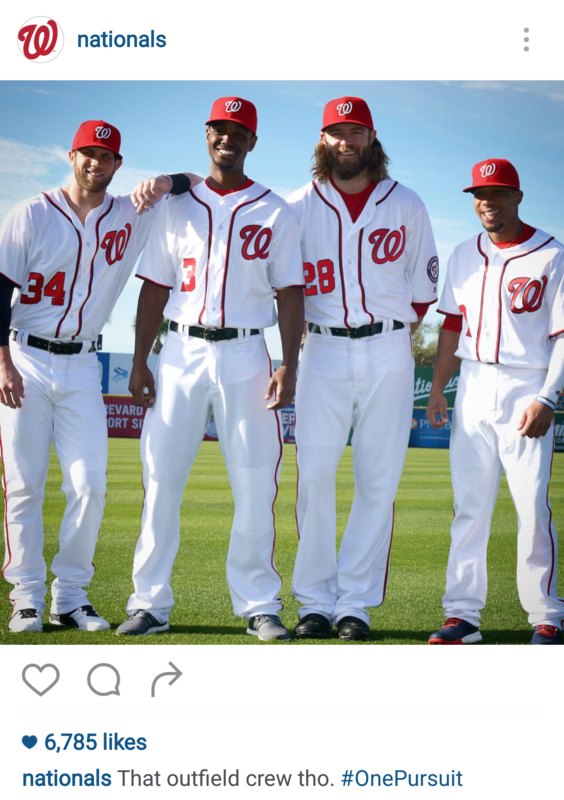 This entry was posted in Analysis, Lineup, Roster, Schedule, Scherzer, Strasburg. Bookmark the permalink.